It is with sadness I report the passing of one of Professional Wrestling's Greats. 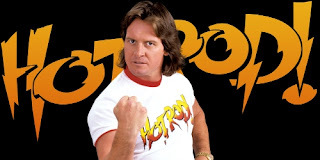 Rowdy Roddy Piper, passed away on July 30, 2015 Thursday night of a heart attack in his sleep. He was discovered on Friday. He was 61. Survived by his wife Kitty and their 4 kids -- including 3 daughters and son Colton who is following in his father's footsteps in professional wrestling. Legendary pro-wrestler, one of the greatest villains of all-time, actor and so much more. Mr. T puts Roddy Piper on the ropes at Nassau Coliseum on April 7, 1986 until Piper slams his way out of trouble to escape from Mr. T hurling any more haymakers.